I LOVE, LOVE, LOVE planning birthday parties for my boys. That said I always find that I am scrambling around last minute for my youngest son's birthday. His birthday usually falls on the weekend that we arrive home from our family vacation and I find that I get so focused on getting ready for vacation that I can often forget about his party until we're down to the wire. I'll send out invitations, pick a theme and have a few loose ideas floating around a month ahead of time.... but we shop like mad for two days before the party and I always end up going over budget since I'm pressed for time and willing to do anything to just get through the day. Not the best way to approach a party! So I was thrilled to get an invite to review this book for free! How to Throw an Awesome Birthday Party at Home for Less than $100!!! It could not have come at a better time! As soon as I downloaded this e-book I quickly began taking notes. It was fantastic and filled with all sorts of wonderful tid- bits. There are even suggestions to add to the party (so if your budget is more than $100 there are ideas for where it is best to spend that extra money). 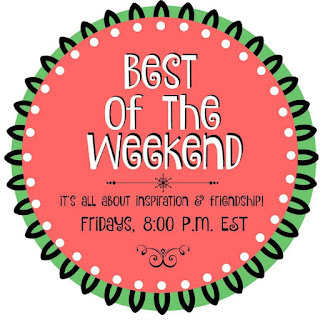 As a mom of 6 she had thrown many a party through the years and has so many great suggestions for themes, party games, food and even how to handle that whole " you must invite the whole class" thing that many schools try to enforce as a rule. Lucky for us many of these problems do not exist. We always know who we're inviting and our guest list never exceeds more than 15 (including the birthday boy and his brothers). My son usually has no problem coming up with a theme for his party either but I usually fizzle out when it comes to activity ideas and food. But there are all sorts of wonderful suggestions for games, activities, and crafts that will happily keep kids occupied and engaged inside this book. If anything, I tend to over plan. Our Skylanders party had 8 games and activities! 8! That I threw together in three days. It was an epic party and my son LOVED it. However, I had to buy supplies for all 8 activities and we were rushing through them all in order to get them done... mostly because I did not want to waste all the money we had spent on the supplies. I did slightly better with our How to Train Your Dragon party and found that simple always works best-- like this scavenger hunt to find dragons and capture them with silly string. The kids loved it and for only $1 each they were busy for a while running around spraying silly string around the yard. I was surprised to see that this $100 party budget included a meal! I typically try to plan a party between meal times so we don't have to spend much money on food-- just a few drinks, some cake and some snacks. But I can see how sitting all of the kids down for some real food immediately before serving cake can help cut down on the supplies/craft side of the party and allow you to keep the kids more focused on the party and the birthday boy. I think my absolute favorite suggestion was that to wrap up the party and have everyone outside and ready to go when their parents arrive you should/could hide favor bags in the yard before the party and have the kids go on a scavenger hunt to find their goody bags (make sure they know there is only one bag per child!). One of our biggest problems in hosting parties at home is that kids inevitably end up all over the house and I have to clean the WHOLE house afterwards. Now I don't always include favor bags at a party because I dread getting them from parties and usually feel that I am spending my money on the usual favor junk that will most likely get thrown away when the child gets home anyway... but there are some really fun suggestions for favors in this book. I love the idea of having picture frames to give the kids with fun pictures of them with their friends. What a wonderful keepsake! .... but if you aren't that creative there is even a chapter in the book that walks you through how to create adorable, personalized, party invites on your computer to print out on your color printer. I love the idea of using a photo of the birthday boy on his invite but balked at the expense of ordering them through sites like Shutterfly. Now I can make them myself!! There are ideas and suggestions for making your own cakes; how to decorate them, recipes and more. This is another area where I tend to excel! I love making themed cakes and while I have gradually moved away from shaped cakes (like the year I made a pirate ship!) to easy to decorate cakes they are still a huge hit and I can honestly say that they don't usually cost more than $5 to make! Some fun frosting and a few toys (cleaned) and put atop the cake make it loads of fun for the kids. The books is filled with links to Pinterest boards, web pages and even more party ideas. There are printable lists to help keep you organized at the back of the book and a few sample ones done up for you so you can see how to keep the party organized and within budget. We've already started planning our birthday party! 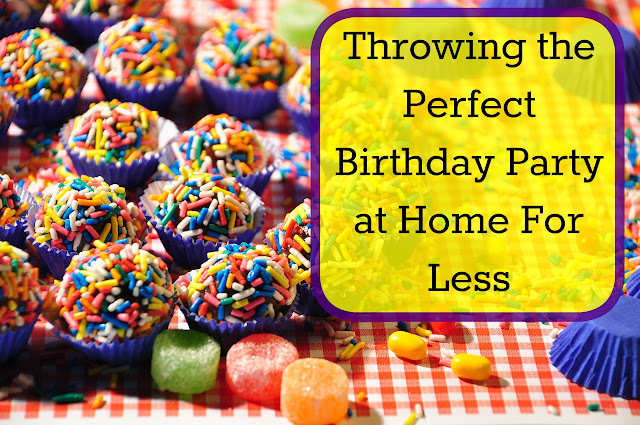 Want to purchase your own copy of How To Throw an Awesome Birthday Party at Home for Less Than $100? Just click through the link and learn how. Yes! I was stunned at how much our local bakery charges for cakes. I decided to buy a few cake decorating tips and a how to book and make our own by the time my boys were just a few years old. I can make a cake as good as the bakery for a tiny fraction of the price.